Camelot Equestrian Centre offers riding lessons with our horses and stress classical riding that transfers to all riding disciplines. Our main focus is hunter/jumper. Camelot Kennels takes pride in raising quality puppies from quality adults with good bloodlines. 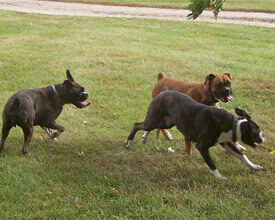 Camelot Kennel's breeding program is carefully selected, and as breeders we strive to breed the best dogs. We have provided dog breed information, dog resources as well as honest representation of our dogs, breeding programs and kennel which has taken years to develop. We also offer horse stabling, and riding lessons. All breeding programs are based on knowledge and the commitment to producing high quality dogs for each owner's years of love and enjoyment.